Last Friday I ventured to the auto show with my girlfriend's old DSLR. It was my first time using one (potato 4 lyfe), so, uh, I hope you like lots of "artistic" close-ups of wheels and asses. Of cars, you dirty bird. I guess we'll pick things up with Jaguar. Obviously, the F-Type is orgasmic in person. See, I told you I got "creative" with a few shots. Except now I can't remember to which Jag this wheel belongs. The XJ is definitely one of my top 3 large luxury sedans. 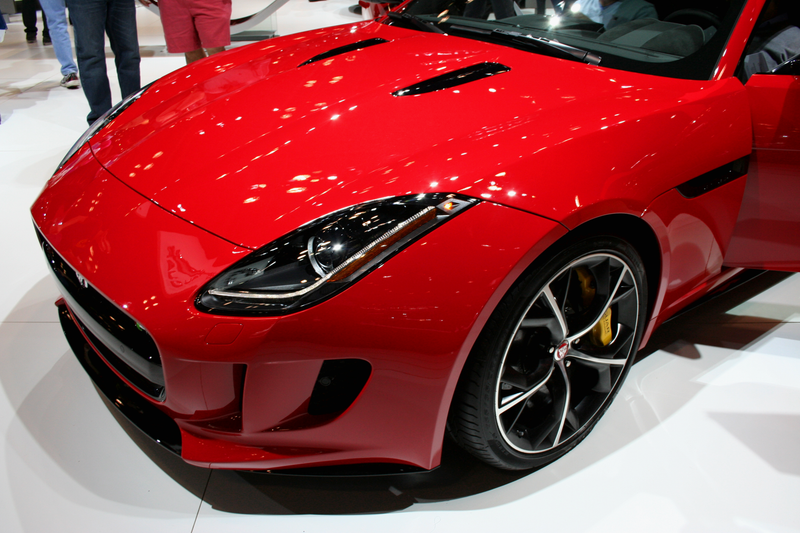 From the swept-back headlights to the sloping roof, I think Jaguar hit it out of the park with this one. I'm a fan of the relatively-simple wheels on this particular model too. "Art." I also don't remember which engine this was (there were a few open hoods), but I bet someone here could figure it out. Cookie if you do! I'd like to take a moment to talk about the back end of the new 2 series. I'm a fan! It's a refreshing step away from the overstyled stuff they've been putting out lately. Simple, clean, still identifiable as a BMW. Except for those stupid red slivers on the bumper. Are they reflectors or lights? Either way, they've got to go. On to Mercedes. If I may talk about wheels again (not like you can stop me), I've found the rise of busy-looking wheels on low-profile tires to be kind of annoying. I think manufacturers have tried to compete with aftermarket companies by getting more elaborate with their wheel designs, an approach that leaves little room for simplicity. I want wheels that compliment a car without distracting the eye. Anyway, I think this is one of the best stock designs out there right now. I did not expect to like the SL so much. More fun with wheels! And calipers. I'm going to leave it there for now so I have enough for Part 3. You can hardly wait, I know.